Many Michigan residents already support organ transplant as 62% of adults are already on the Michigan Organ Donor Registry. 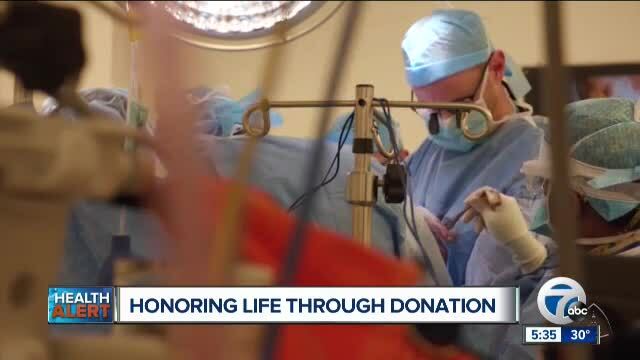 But despite this, there are still over 3,000 Michigan residents waiting for an organ transplant. Question: We know organ donation is vital, but why is the wait list so long? There are a couple of issues. One is that some counties have low registration rates, so not enough people are signed as donors. Another is that organs have a shelf life. There’s only a certain amount of time that an organ can be transplanted successfully. So that’s why we need more people to sign up. Many on the wait list are looking at terminal or irreversible organ failure. They may need an organ like the lungs, heart, kidneys, liver or pancreas. It’s phenomenal that one donor can save the lives of 8 people. And donated tissue can help up to 75 people. This is truly a life-enhancing opportunity for recipients to move, see and live better lives. Last year alone, 320 Michigan organ donors lead to 876 life-saving organ transplants. Which is wonderful but we can definitely raise these numbers and help more people. Question: Does it cost money to donate? No, the donor’s family or estate will not have to pay for anything. Another question people ask is if the surgical procedure will disfigure their loved one’s body. It’s important to know that the organs and tissues are recovered by trained medical professionals. So a traditional funeral service can still take place. Question: How easy is it to sign up? It’s very easy. With just a few clicks, you can register online at ExpressSOS.com. You can also add your name when you renew or replace your driver’s license at the Secretary of State either online, through the mail, or in person. And by doing this, you may one day give someone a second chance at life.